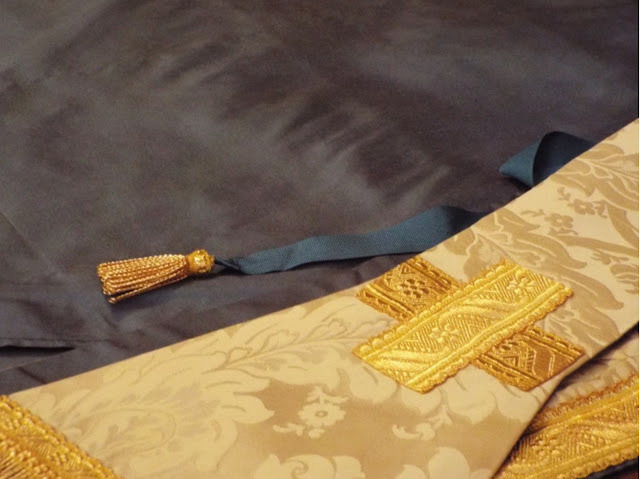 One particular vestment maker I like to keep my eye on is L'Atelier Romanitas in Lyon, France. 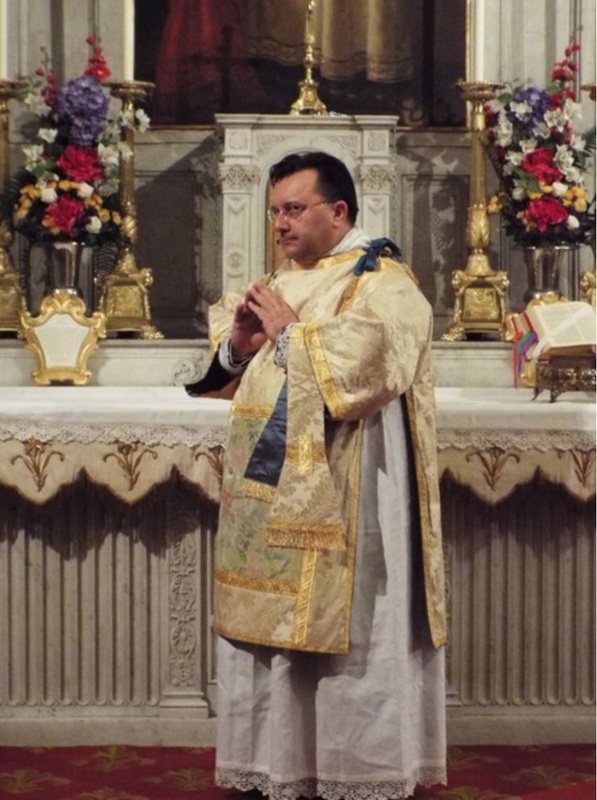 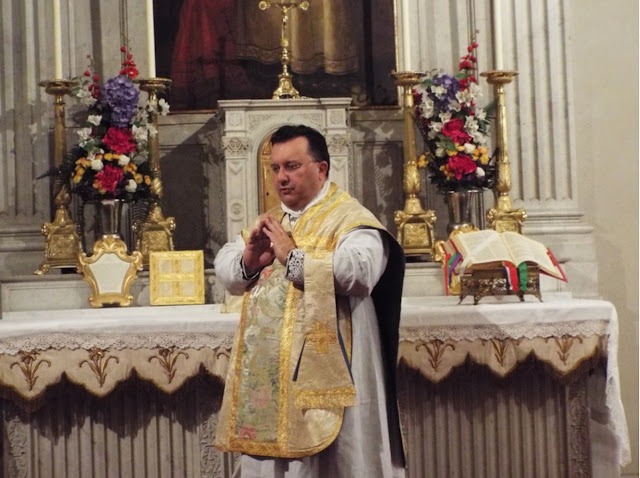 This particular workshop seems to work very closely with Abbé Brice Meissonnier, FSSP -- who is known in usus antiquior circles, particularly on the continent, for his particular devotion to a baroque aesthetic in the liturgical arts of the Roman tradition. 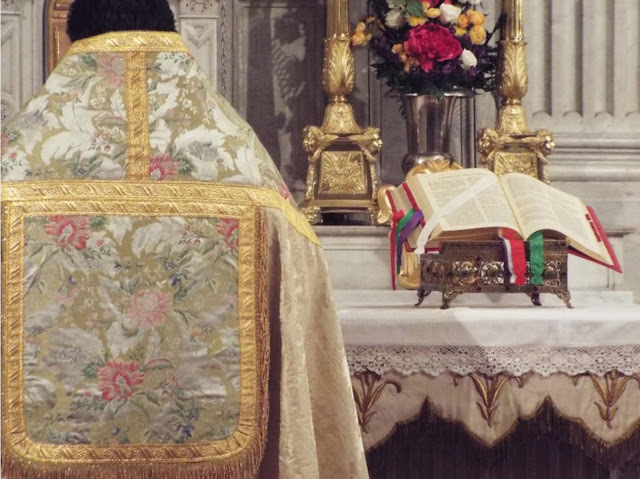 In this regard he is very much akin to his late friend, Abbé Franck Quoëx, and this enterprise can most certainly be seen as a continuation of that project. 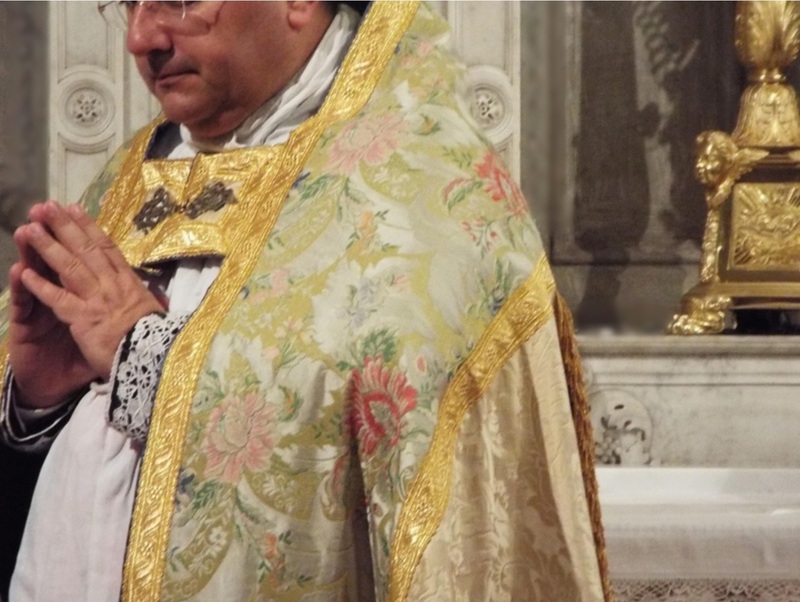 L'Atelier Romanitas draws from this same tradition, seeking to produce qualitative and noble examples of contemporary vestments in the Roman and baroque tradition. Today I wish to share one example of their fine work in this tradition. 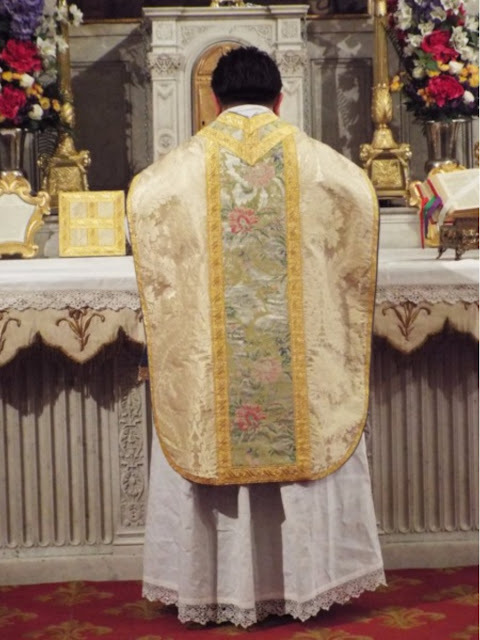 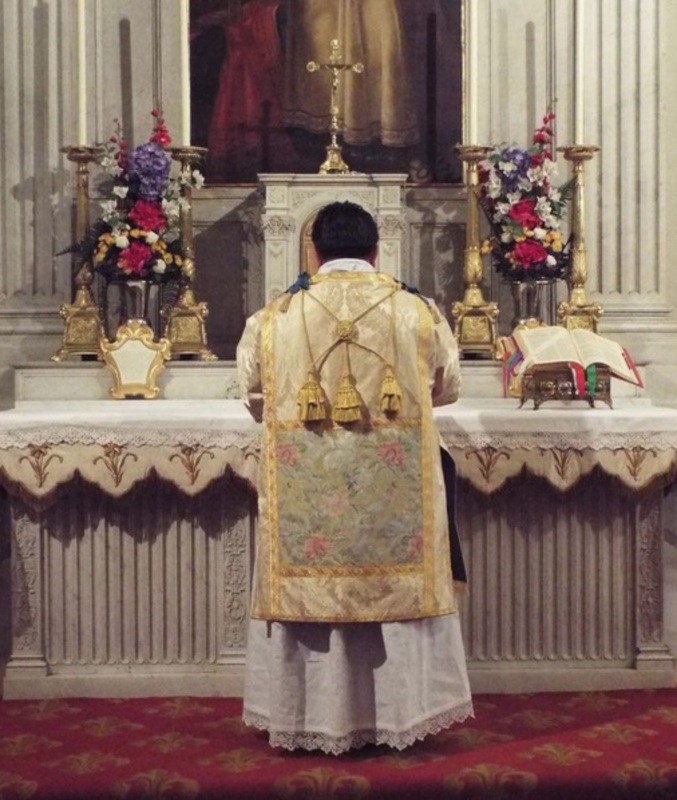 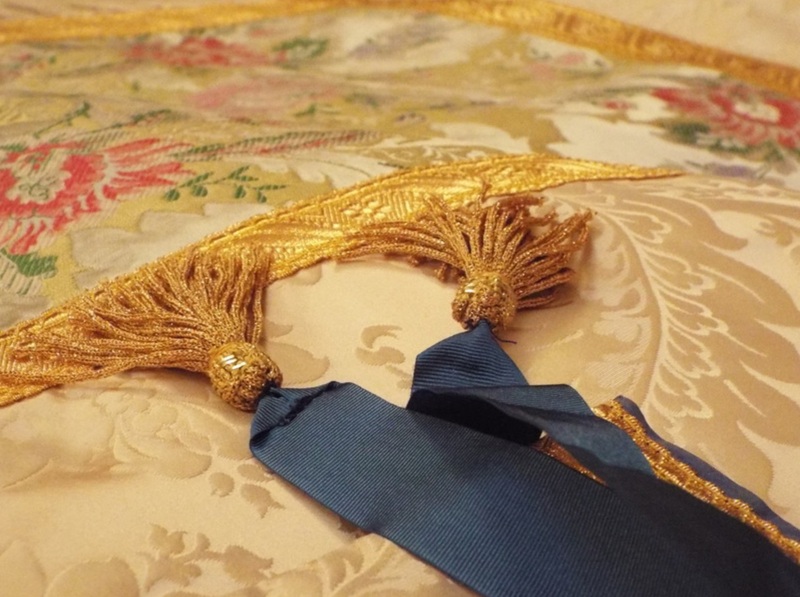 Before I do, it is worth noting that the baroque liturgical tradition is perhaps most often thought of for its use of ornate gold and silver embroidery work, but that is only one facet of this tradition. 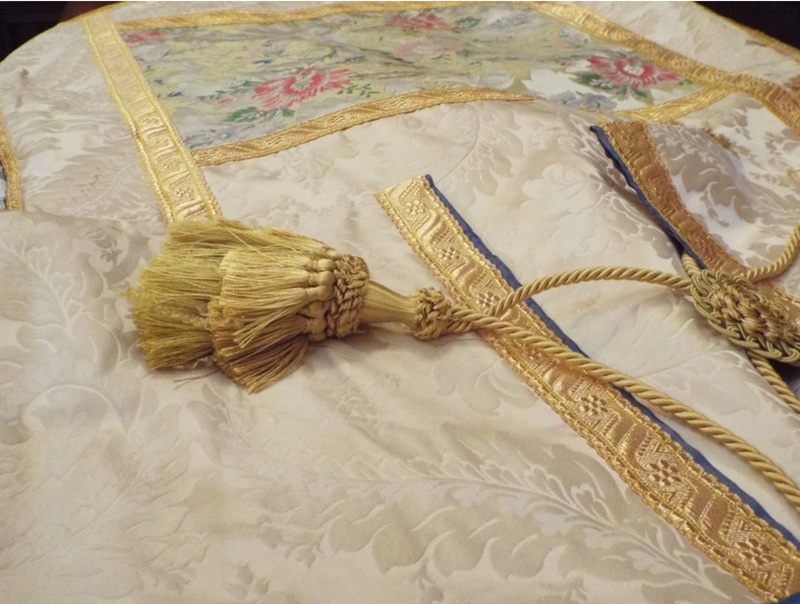 Another -- and one which I find of greater interest personally -- is its utilization of patterned, floriated textiles as the means for adding ornamental qualities and flourishes to the vestments. These are the sort of vestments I wish to show to you today.